We hope this helps anyone out there thinking about opening a small business whether it be a Physio/Coach clinic or a Bread Company. If you have a question about strength & conditioning, PT stuff or pretty much anything else under the sun that you want answered by Danny or Joe ask us in the form of a iTunes review and your question will more than likely be the subject of one of these lovely Friday shorts. Lastly, we are trying out some new intro music for the Friday shorts. 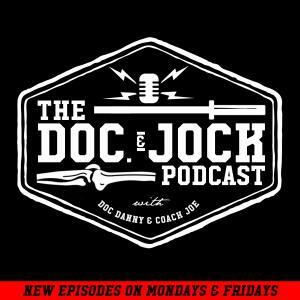 Let us know what you think of this one on instagram @docandjockpodcast. We are going to debut a new track each week in January. This weeks comes from a SoCal based band called the Black Pacific.